Ubuntu (and its variants Kubuntu, Xubuntu and Fluxbuntu) have made Linux more accessible to the big public, as it has brought both ease of use and eye-candy as well as security and ease of installing programs. This list hopes to help to choose the right software, and here follows what I think is the best Ubuntu software for designers and developers. Most of them are available with Synaptic, but anyway the links to their websites are provided. 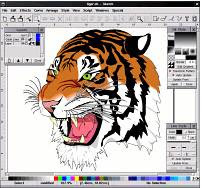 Xara Xtreme, (package: xaralx) This is simply the easiest vector graphics drawing program. You just need to test it and will be using it in minutes, as it is very intuitive, which is not usual in this kind of applications. Ktoon, A very easy 2D animation tool specially aimed to draw cartoons. Synfig, A professional studio to make 2D animations. Beware that this is downloadable from Synaptic but has 2 packages: synfig (the application) and synfigstudio (the graphical interface to use it), so install both. Skencil, Apart from Xara Xtreme and the universally known Inkscape, here's Skencil, another good vector graphics drawing application. It has many clipart libraries included. 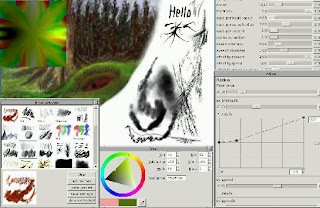 MyPaint, Although it lacks of layers, it is a simple but superb natural painting program. It has many interesting artistic brushes, and you can do your own. The brushes are sensible to pressure (if using a graphic tablet), speed and random factors, making of it a very "living" and artistic way to paint. 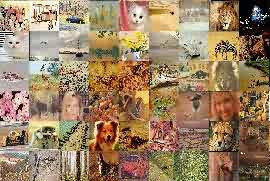 Pixelize, creates mosaics with small photos so all together form a bigger image. A very impressive effect for big posters. OpenOffice Draw, (package:openoffice.org-draw) It is part of the OpenOffice suite. It has many interesting features, but the most remarkable is that you can export in .swf (flash), which is perfect to share your work online. 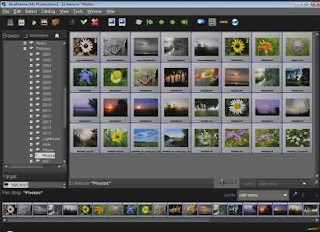 Gimpshop, It's a modification of The Gimp so all the menus, windows, icons, etc. are changed to match those of Photoshop. And even more, if you compare Photoshop menus and the ones that Gimshop has, you will see they are not only similar, but better and more readable. If you find changing from Photoshop to The Gimp hard, this is your program. PovRay (POV), It's simply the best rendering engine ever. KPovModeler, As PovRay is a renderer and also a descriptive programming language, some people will find easier to use a modeler. 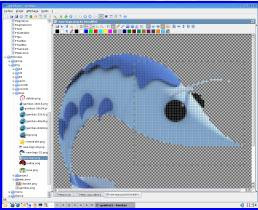 KPovModeler eases the use of PovRay providing a graphical interface. Reppu, Rendering big or complex scenes in PovRay takes time. Reppu is a program that can share the task of rendering between many computers connected to Internet, so it does that faster and better. Art Of Illusion, If you are looking for a good modeler that is easy to master, Art Of Illusion should be the first option. K3DSurf, If you like fractal art and are good with Maths, you should test K3DSurf. It generates stunning 3D figures from mathematical expressions that can be rendered in PovRay. Blender, Millions of people use Blender to model in many kinds of 3d formats. Of course, it can deal with 3ds and obj formats. Takes time to master it, but the effort is rewarded. 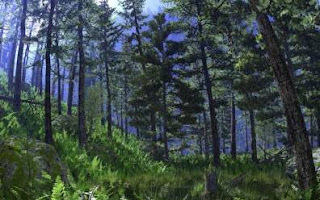 Xj3d, X3D is a language for creating virtual 3D worlds that can be visited and interacted by people. Xj3D is both a browser for X3D worlds and a Java library to manipulate it. Conky, Sometimes a developer (or an advanced PC user) needs to know how much ram memory, CPU cycles, or bandwidth is the system using. 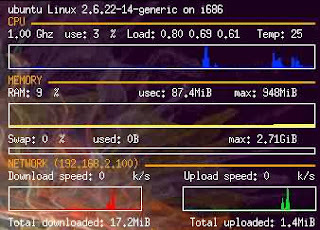 Conky can measure and display that all, and much more. Even more, it can display it in your desktop or in a window, and you can customize all so you do your own conky (see this forum). Rox-Filer, You may need a light and fast file manager that doesn't use too many resources. Rox-Filer provides bookmarks, easy and fast interface and thumbnail previews for images. Reconstructor, Ever wanted to make your own Linux disk? With Reconstructor you can customize a CD of Ubuntu so you change almost all (the desktop, icons sets, packages installed, etc) so next time you install you use it to install your own customized Ubuntu. 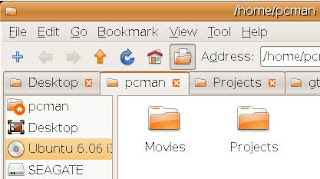 Pcman, A good alternative to other file managers. It has bookmarks, tabs, drag and drop support, customizable file associations, thumbnails... It is light and fast. There's two versions, pcmanfm and pcmanx-gtk2 (this one requires less packages to install). LPROF, A tool to make ICC color profiles for cameras, printers and scanners. It also helps you to calibrate your monitor colors. GAG, The easiest and more robust solution to boot different partitions of your hard drive is GAG. You can use it to dual boot Windows and Linux, and other OS, or boot different Linux partitions, in one hard drive or many. Terminal, (package: xfce4-terminal) If the system terminal is too ugly for you, Terminal gives you a more warm interface, for example with a background image, and bold fonts. Gnome Do, A tool that learns of your system and when you type the name of an application, folder, etc. it shows you it in a small window and opens it. That way you speed up your work. 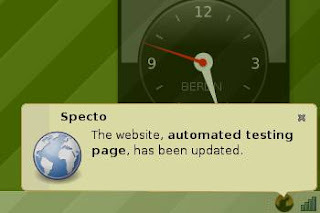 Specto, It tells you when a website has updated, or you have received an email, or a system process that you want to watch happens. qOrganizer, Do you need a general organizer? With calendar, reminder, notes, to-do list...? Here it is, and free. Incollector, Organize all kinds of information and give them tags so you can search between your data easily. Zim, An organizer that allows to link notes between them, or with files. Kompozer, As a descendant of NVU, it adds many improvements that make it a complete visual editor for web pages. 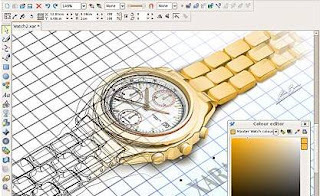 Amaya, It started as a HTML and CSS visual editor but now it can be an easy tool to make any modern web pages visually, supporting many file types. Kazehakase, Some people want a lighter browser that Firefox. Kazehakase is much faster and uses very low resources, so it's perfect for old machines and home servers. Kruler, A very useful tool to measure anything in the screen. Drupal, Although it's not a Linux program, it is available as a package with the name "drupal5" through Synaptic. Drupal is the best CMS out there, used by thousands of web servers and with lots of modules to add anything you want to your server. Xampp, Was formerly known as Lampp. It installs Apache, MySQL, PHP, and Perl. That way you can test your web pages in php locally, without having to upload them to the server. ShowImg, It has support for many image formats, a tree view, full-screen view, mini-view and image converter. 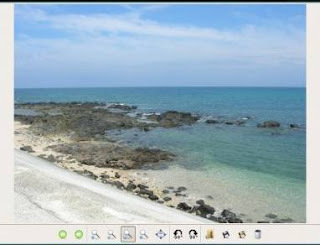 Gpicview, Easy to install and use image viewer that is very fast. Bluemarine, A photo cataloger that can display your photos and categorize them in many ways, with a superb visual appearance, and even a 3D map to locate your maps in the World. Xzgv, Ultralight and fast image viewer that is perfect for a quick view of image files. 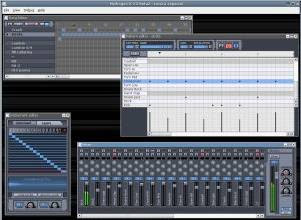 Jokosher, Multi-track audio editor with an impressive and easy interface. Hydrogen, Use it if you want to play drums with your Ubuntu. Soundconverter, A tool to convert between sound file types. 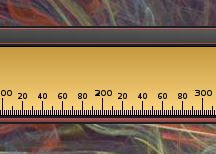 Soundkonverter, This is the KDE version of Soundconverter. 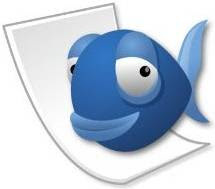 Bluefish, It suits the needs of those who look for a fast editor that doesn't use too much resources and has multi-language support, syntax highlight, etc. Gobby, Suppose you want to work together with other developers. Gobby allows you to code and write at the same time in a multiuser text editor with chat, so you all can program together as if you were in the same room. The communications are also encrypted and secure. Netbeans, The best recommendation to use to program in Java. Geany, A lightweight programming editor with a clean and very few requirements. Gambas, (package: gambas2-ide) Gambas is an IDE for a language very similar to Microsoft's Visual Basic. So it allows you to program in Basic with a visual interface. 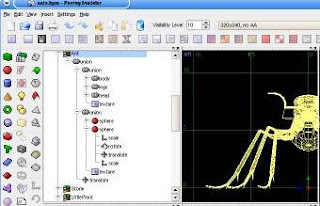 Scite, It's a programmers editor that support many language and can be customized in almost everything of it's behavior and colors. 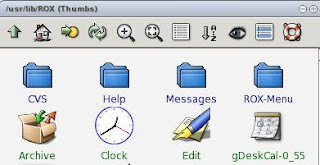 Cream, Many people in Linux use Vim to edit files. Cream makes easier for the beginner to use Vim, as it is an improved Vim. Fontforge, A serious tool to create new fonts for computers. CinePaint, Collection of video tools used by companies like Imageworks in movies. They allow per frame edition of films. 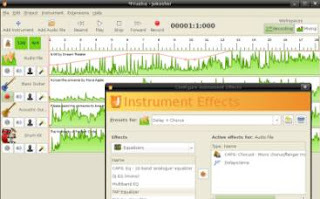 This list of applications show how Linux can be used for much more than running a web server, and can accomplish a long list of different tasks. In fact, often it's better to have your site in a web hosting company, like startlogic, or even hostgator or the popular bluehost. wow great list! thank you! Thanks for this list! I use Ubuntu but I didn't know about most of these programs. That's a very useful list. You may like to consider XFE as well, which is a great file manager (appearance like Windows Explorer). Talented, smart, beautiful...Will you marry me? Thanks for the list, though! I recently installed unbuntu...but have been slow to adopt it. The more great apps I can find for it, the more irresistible it becomes. At least that's my theory. Uhhh... Eclipse is missing on your development tools list. Eclipse and Inkscape are missing. You mentioned Inkscape, but it's not on the list. Very useful list. I knew about most of the development tools, but many of the graphical ones I wasn't aware of. BTW, tell your husband he's a lucky guy (I am too - my lovely wife has put up with me for 25 years!). what a good list tons of useful stuff in here. Thanks for the list. Lots of tools I haven't looked into. These are Open source applications. They are available for all other distros.. I am sick to death of this Ubuntu fanboyism/girlism. Its a crappy distro that people think invented this stuff when all they do is repackage apps that are already out there and package them poorly... In fact they even use the SUSE build service... Its ridiculous. A third of the stuff came from Debian, a third from RedHat and the final third came from Novell/SUSE. I have yet to see ubuntu come up with something on their own. It's a shame none of the iMovie like apps really took off. Very good, and very useful lits. I was looking for it for my new unbuntu box. Not free but ArtRage2 is an absolutely insanely excellent painting program that runs under wine. I saw conky in a screenshot somewhere out there and had no idea what it was but really wanted it. Nice list, but you forgot the best editor available for Linux...vi(m)! I do all of my development with vi. Great Blog! I just want to say that many open source programs are as good or better than their commercial counterparts. I am a Linux and Mac user and find that there is very few open source programs that won't work on OSX. Ubuntu is a terrific distribution. Thanks for the great list! Great list! I didn't know about most of the programs listed. Good list. 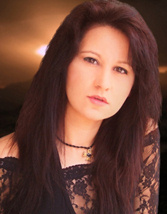 I'm a working graphic artist and have been for (gasp) almost 18 years. I cut my teeth on PAINTBOX when it was still sold on proprietary hardware. 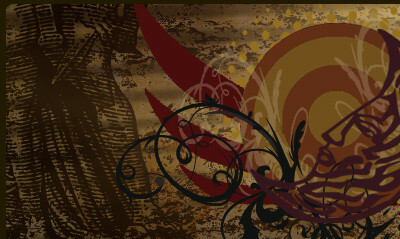 I'm REALLY intrigued by Inkscape. It looks like the functionality about to come online with version 0.46 will make me think twice about ever using Adobe Illustrator again. Once gradient meshes are added my decision might be made for me. Wow... you really left Inkscape off the list? I guess that's a matter of personal preference, but it's the most feature complete and powerful Open Source Vector editor out there. And for the record, Xara isn't fully open source, so I don't know that it should really be included on the list. Xara Xtreme is dead; latest version is almost 2 years old. And it is not "open source" in the strict sense of the term, some parts of it is proprietary. Thank you, I'm glad that you liked the list. Sorry for not replying sooner, I was very busy. I won't enter in the discussion about if this a Linux or Ubuntu list. If I did this list naming it "Ubuntu" is because one of the PCs in my home uses it. About Xara and Inkscape. Inkscape was recommended in a previous post. And Xara is a quite easy program for all public. I've read many comments in some social sites about this post and I really disliked some of them. They said that there's a contradiction between being a woman and using Linux. There are many programmers that are women, and they wrote many books about programming, and that's not in contradiction with being woman. In my case, I am a designer and there's many woman designers all over the world. And about other comments that I have read, in this life one can be good looking and intelligent, and ugly and idiot. Thank you Anonymous for your contribution. I love this things because this helps us all. There was a problem. Somebody tried to plagiarize this post and the SO GOOD PEOPLE that are in Ubuntu Forum blocked it. Thanks to the Ubuntu people, you are genial. I used BlueFish for a while (Java, PHP, SQL) but it was a bit buggy. Wonderful list. I'd like to add jedit as a development tool. The tool is vanilla initially but the plugin library can handle most anything. Ubuntu Application? 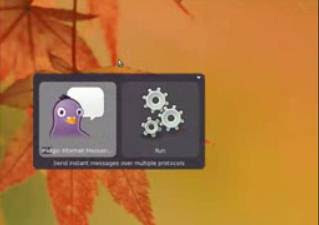 These are Linux application, not Ubuntu ones. You can run them even on a Slackware. The post is named "Ubuntu" because it's the Linux that I know. It's the most easy Linux, and is the one I like most. The programs listed here can directly be installed with Synaptic, that is the program to install software that comes with Ubuntu. Linux is a big universe and I just talk about what I know. It's not the same talking about Ubuntu that talking about Slackwave or other. They all are more difficult and for more specialized users. Your post is very helpful for me, Emma! I'm a developer getting his feet wet with digital graphics. Some of the apps I know and I confirm they're truly great, some others are going to be apt-getted as soon as I'm home! Too bad that many people give negative comments, some people really don't understand the intention to help others and start flaming as soon as someone dares to say they like app X more than app Y. Guess we'll have to live with that. Sweet list, I'll have to try some of those in Gentoo. Though one thing you could add under the 2D graphics is KolourPaint, which is basically just like MS Paint but for Linux! We all know that these programs are universal, some people just can't help themselves. Thank you Geber. Actually, I don't understand that fight. Xara Xtreme seems to worth the look ^_^. Thanks for bringing it to attention. I personnally prefer Wings3D over Blender/povray for 3D modelling, though i haven't used it enough to pretend it's superior, or deserves to be here, or blablabla. Do you know of any easy to use C++ developer IDE with support for building GUIs? Neat list. I would also suggest WiFi Radar for Wireless Networks. 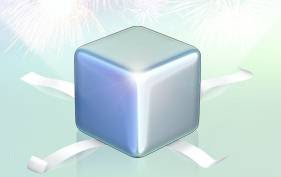 If you have a faster system Beryl or Compiz can be fun, but they are not my type though. Automatix is perfect for almost everyone. you go girl! i'm not only thankful but also very proud of you. this and the other lists will definitely help poor souls like me a LOT! thanks again and be happy and stay happy! Gnome Do uses Mono and it is tainted by Microsoft and Novell. 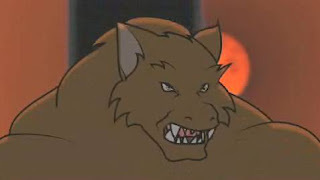 If you don't like giving away control of open source to Microsoft so that they can pull the plug at will then don't encourage the use of Mono and programmes that use it, including Tomboy Notes, F-spot, Evolution, Second Life, Diva, Banshee, Beagle, Blam!, and Muine. there are real alternatives to using Mono. Gnome and Ubuntu are selling out when they use Mono programmes. There is no need for us to sell out, just because they do. There are good real open source alternatives to using Microsoft and Novell .NET crap intended to undermine open source. Nice List. It really helps me. Thanks for good work, keep coming! Emma, like some idiot before, I also like to marry you. May your ubuntu software be a great contribution, but your beauty is your best contribution to our world. Your are, for me, a one in a million. MyPaint doesn't lack layers, there just isn't the conventional way of showing them, but they are very much there. It took me about 2 hours to find out about the layering. Wonderful, save my time searching around, many thanks! I just switched to ubuntu 10.4 from Windows and i'm a web designer by profession. you gave me great head start. This is a great list. GIMP is my favorite one. It's very good alternative for Photoshop. I really like these suggestions and the part that you didn't go to university for Graphic Design is really motivating for me. I have stress all around me to finish a level when I really just want to perform towards having my own style company. I discover out out out out out out out too often on other weblogs that the blog site writer went to higher education and I instantly can't arrange with them as well. I've tried the whole higher education part and it's not for me. Thank you for sharing! Thank you for this detailed article. It has been really helpful for my web design course. In the event that you are searching for the most straightforward approach to better deal with the various assignments for your little or huge business, a best project management app can be exactly what you are searching for. Great Post Awesome Writing Skills Thanks for sharing such a great Article With us . Thanks Once again .